With the i1 Pro 2, you can quickly and easily create custom monitor and projector profiles that ensure the colors you view are true, verify soft proofs and print quality with built-in Quality Assurance (QA) tools, and easily capture and manage spot colors. • NEW i1Pro 2 Spectrophotometer. The most accurate and forward thinking profiling device available today – bringing a new level of accuracy, reliability, versatility and ease of use, it delivers an expanded professional-level feature set including the latest developments in ISO standardization. • i1Profiler Software for Monitors and Projectors. The latest release of i1Profiler software features basic and advanced modes for professionally calibrated and profiled monitors and projectors, including new presets for video production workflows. Also includes display and printer quality assurance functions. • PANTONE® Color Manager. Easily capture and manage spot colors, and keep your PANTONE libraries up to date with this color palette creation and swatch bridging software. 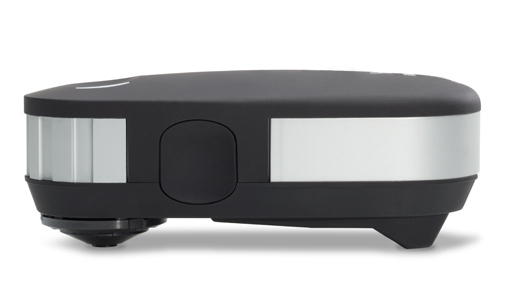 • NEW i1Pro 2 Spectrophotometer. The most accurate and forward thinking profiling device available today – bringing a new level of accuracy, reliability, versatility and ease of use, it delivers an expanded professional-level feature set – including multiple measurement capabilities to correct for paper optical brighteners often found in photo papers. • ColorChecker Camera Calibration Software and Target for producing custom camera profiles that work exceptionally well for Raw workflows, even in unusual artificial light sources. • i1Profiler Software for Monitors, Projectors and RGB/CMYK+ Printers. The latest release of i1Profiler software features basic and advanced modes for professionally calibrated and profiled monitors, projectors, and both RGB and CMYK+ printers. Also includes display and printer quality assurance functions. All new diagnostics and self-correction features - Built-in wavelength calibration technology allows for self-diagnosis of optical grating in relation to sensor during white calibration (with automatic correction and notifications) eliminating worry about your device’s measurement accuracy. Maintaining and protecting the device (and investment) is easier than ever - Self-cleanable aperture protection glass and calibration white tile cover provides additional built-in protection from dust and dirt keeping your device working at top performance at all times. XRGA equipped - i1Pro 2 is equipped with the X-Rite Graphic Arts Standard (XRGA) to make it quicker and easier for companies and professionals involved in digital production printing to adhere to ISO standards and have confidence that data sent or received from all links in the supply chain is reliable and repeatable.